New Delhi, 01 March, 2017: Amway India, the largest direct selling FMCG Company of the country, has entered the refreshing drinks market with the launch of Nutrilite Fruit Drink Mix. This is the first time that Amway India has extended Nutrilite’ s brand name in the refreshing drinks market in India. The Nutrilite Fruit Drink Mix in Lemon Lime flavor has 5 fruit concentrates – Acerola, Pineapple, Guava, Cashew fruit and Passion. The drink has no added preservatives, no artificial colors & no artificial flavors and is sweetened with Fructose. The Nutrilite Fruit Drink provides 8 vitamins including Vitamin B which helps support production of energy at cellular level and Vitamin C which is a known anti-oxidant. 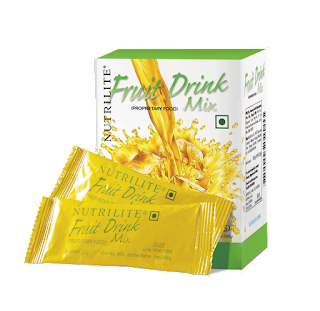 The Nutrilite Fruit Drink Mix, priced at Rs. 490/- (inclusive of all taxes), comes in an attractive box of 10 stick packs of 20 g each. Globally, Amway is over 57 years old, US $ 8.8 billion, manufacturer and direct seller of high quality consumer goods. Amway’s innovation and industry-leading R&D has seen more than 120 patents granted and another 500 patents pending. Amway has nearly 1000 scientists across 75 research and development and quality assurance laboratories worldwide.